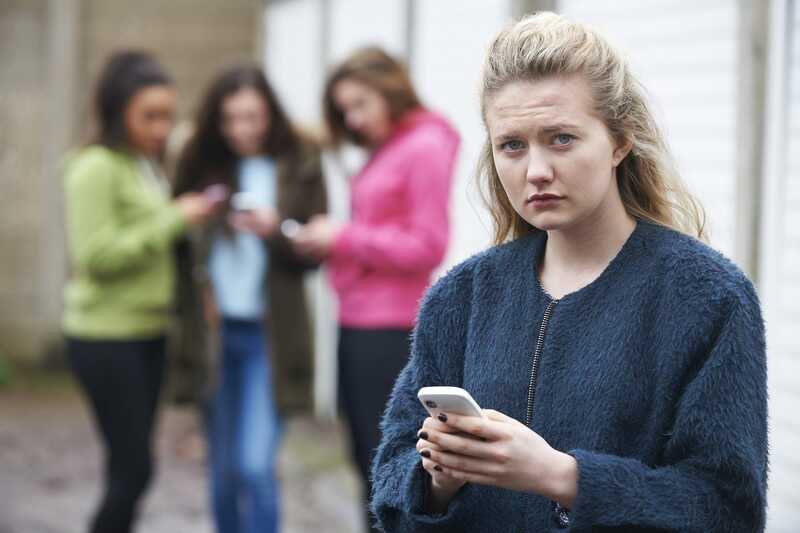 When counselors are helping someone in the midst of an emotional crisis, they must not only know how to talk — they also must be willing to text. 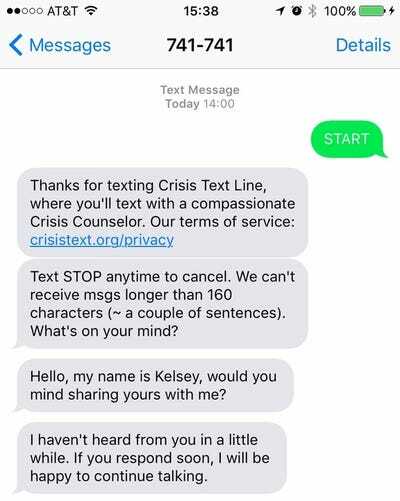 Crisis Text Line, a non-profit text-message — based counseling service, operates a hotline for people who find it safer or easier to text about their problems than make a phone call or send an instant message. Over 1,500 volunteers are on hand 24/7 to lend support about problems including bullying, isolation, suicidal thoughts, bereavement, self-harm, or even just stress. But in addition to providing a new outlet for those who prefer to communicate by text, the service is gathering a wellspring of anonymized data. According to Fortune, the organisation is using machine learning to prioritise higher-risk individuals for quicker and more effective responses. 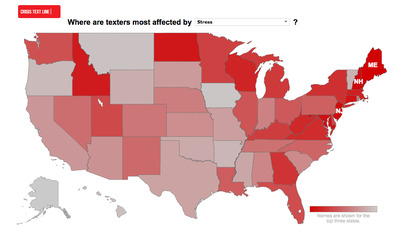 But Crisis Text Line is also wielding the data it gathers in other ways — the company has published a page of trends that tells the public which hours or days people are more likely to be affected by certain issues, as well as which US states are most affected by specific crises or psychological states. According to the data, residents of Alaska reach out to the Text Line for LGBTQ issues more than those in other states, and Maine is one of the most stressed out states. Physical abuse is most commonly reported in North Dakota and Wyoming, while depression is more prevalent in texters from Kentucky and West Virginia. The research comes at an especially critical time. According to studies from the National Center for Health Statistics, US suicide rates have surged to a 30-year high. The study noted a rise in suicide rates for all demographics except black men over the age of 75. Alarmingly, the suicide rate among 10- to 14-year-old girls has tripled since 1999. Crisis Text Line’s goal to use data in order to tackle these challenges made headlines in 2014, and the attention brought a wave of investment. Shripriya Mahesh, a partner at the philanthropic investment firm Omidyar Network (which was started by eBay founder Pierre Omidyar), says the firm has given the service two grants. Last week, Crisis Text Line received $23.8 million in grants from a squadron of Silicon Valley investors, including Melinda Gates, Steve Ballmer of Microsoft fame, and many more. This round brings its total up to $35 million in funding. Mahesh says the Line has been raising money the same way a startup does, and this current wave of grants can be thought of as a “Series B” — a secondary funding round in which investors are confident the company is going in the right direction. “[Crisis Text Line] not only does good but it’s really efficiently and is conscious of how effective they are,” she said. To further that effectiveness, Crisis Text Line is partnering with other services to move beyond text messages. The company now provides counseling to users of Kik, Facebook Messenger, and After School, a safe discussion space for students. And Liz Eddy says company is still expanding. “We’re working with social media apps, search engines, messaging apps and other tech companies to help them provide support and resources to their users who are in crisis,” Eddy says. She declined to name any specific apps the service plans to partner with going forward, but it wouldn’t be a stretch to imagine contacting the Crisis Text Line through Twitter, WhatsApp or Gmail in the near future.